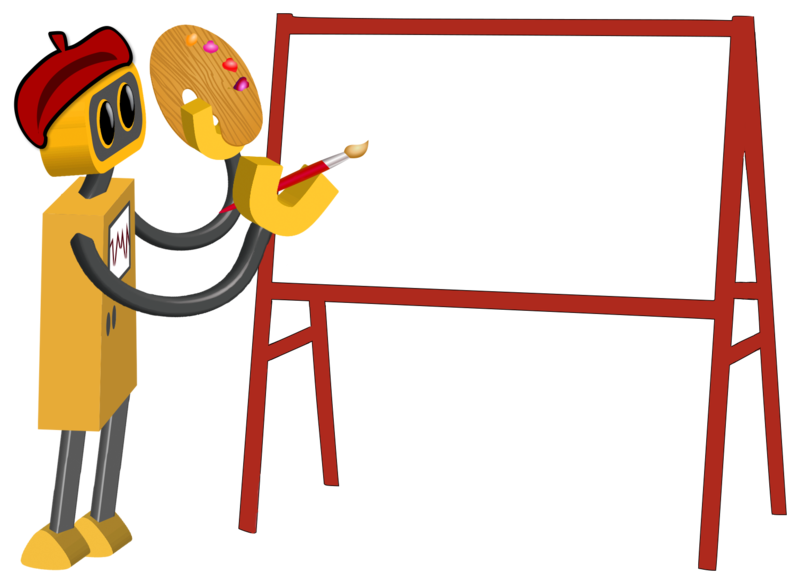 Robot painting at an easel. Space available on easel for you to add your own customized message. 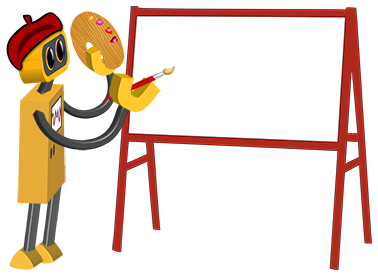 Robot is wearing a red beret and holding an artist’s palette.